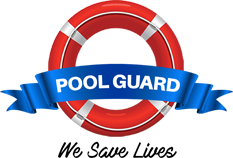 The Solid Safety Cover is the only PVC cover that prevents child drowning and sets the standard for pool covers. Unlike most pool covers this cover prevents rain water from accumulating on top of the cover, something that poses a threat to curious toddlers. Not only will it form an impenetrable barrier over the water it is also designed in such a way that it can simply and quickly be taken on or off the pool. Many pool owners don’t realize that a pool secured with a Solid Safety Cover allows for not only peace of mind but significant household savings too. The benefits from using the cover in summer will be the reducing of evaporation with up to 98% and the increase in water temperature, extending your swimming season. In winter this cover prevents dirt and leaves from entering the pool water therefor the water aesthetics and hygiene are greatly improved, reducing the amount of filtration required. With your pool pump using 12% of your household electricity it will result in a huge saving in electricity but most importantly all that time saved on maintenance! The Safety cover forms a complete barrier over the pool and prevents a child from squeezing underneath the cover. The cover has a very good weight tolerance of 200kg plus, however we only market this cover with a maximum weight tolerance of 80kg because we don’t want to give the impression that the kids should play on the cover or use it as a trampoline. Supported across the pool is 32mm diameter lightweight aluminium poles that are secured within the PVC cover. The aluminium poles run in the width of the pool and are spaced 1m apart, it extends approximately 30cm over the paving resulting in the PVC being suspended from the water. This enables us to punch a series of 8mm drainage holes into the cover allowing rain water and irrigation water to drain into the pool. Not only do the drainage holes drain rainwater into the pool it also acts as ventilation by preventing chemical gasses from building up underneath the cover. The weight of the cover will increase according to the pool size. While there are different methods to cover and uncover one’s pool which do not involve picking the entire cover up. Two people are recommended to open and close the cover, one end is anchored into place with removable anchor bolts and the opposite end has corresponding ratchets which allow the cover to be tightened. The ratchet system is generally very easy to use but complicated enough for children, so it acts like a safety device. When securing the cover, no physical strength is needed to create the required tension, and this has the huge benefit that the pool user will be more likely to replace the cover after using the pool. The entire cover can be position on the paving at the deep end when not in use or stored away. To avoid stumping your toes on the protruding stainless steel anchor bolts, we have designed it in such a way that you can unscrew it by hand form the drop-in socket that’s fitted flush with the paving. For extra protection the anchor bolt is also covered with a plastic cap. This astatically stylish cover is available in 6 x different colours, so you can incorporate it with the décor of your home. We use the 550gsm – 600gsm specifically for the use of swimming pool covers because its U.V. treated & chemical resistant and come with a 1 Year Warranty. The PVC is joined with high frequency heating, no glue is used because it will come undone and no stitching is used because it will perforate your cover. Seeing that the cover is not in direct contact to the chemical water it will extend the lifespan and it won’t influence the performance of the pool cleaner underneath the cover. 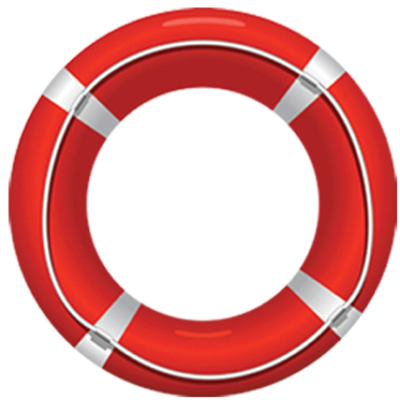 Remember, ignorance often causes drowning, never leave a child unattended near water or simply choose a POOL GUARD Solid Safety Cover!